I went to the doctor recently for my stomach problems. Turns out I’m not eating enough fiber. 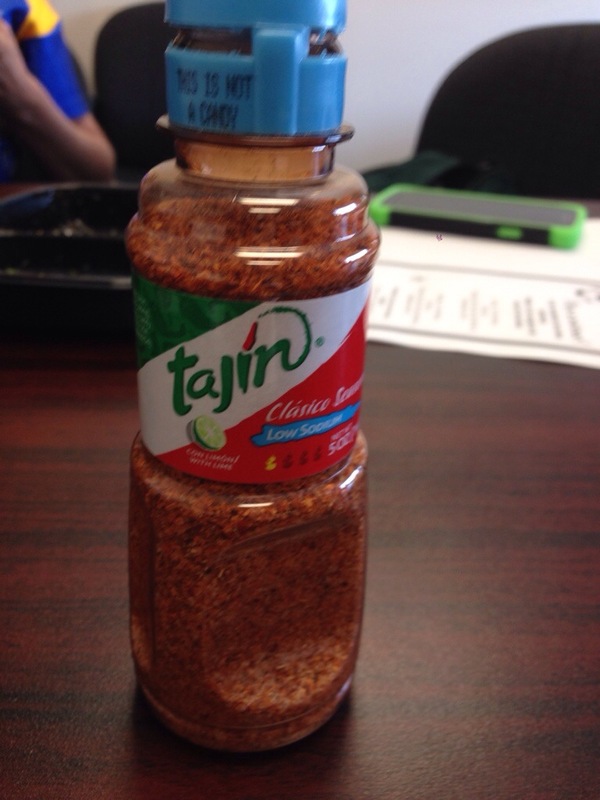 I don’t really like fruit, but luckily the ladies at work recently introduced me to Tajin. It’s a spicy blend that you put on fruit to give it a kick. Let me tell you, since trying it, I am addicted. I’m hoping that this will make me eat more fruit and I will have fewer stomach issues in the future!! !